It has been long overdue, we have finally put together the second edition of Pinoy Storytime! It’s a wonderful FREE family event for all ages. 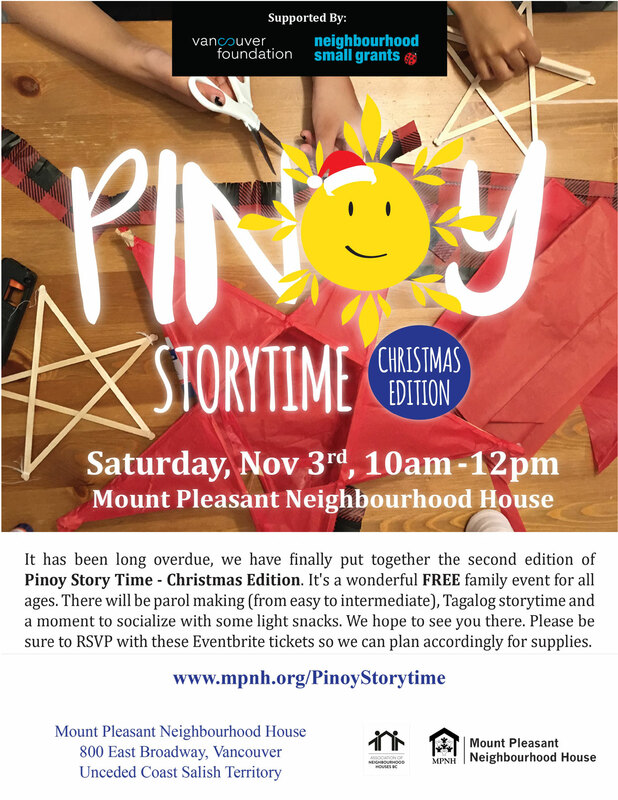 There will be parol making (from easy to intermediate), Tagalog storytime and a moment to socialize with some light snacks. We hope to see you there. Please be sure to RSVP on Eventbrite so we can plan accordingly for supplies.